We wish you all the best Zerrick. Once a Tiger, always a Tiger. Class Act! Hope he goes somewhere else and balls. Thanks Zerrick! Yes, and some school is going to get a great QB. Wish him endless success! Inevitable that some QBs will leave, but sad to see it. ZC may not be the last to leave either. Re: Inevitable that some QBs will leave, but sad to see it. Who else? Chase won't be leaving yet...he's just coming off redshirt and getting his first true chance to compete for the spot. Tucker is likely going to just ride the scholly...he has stomach issues that could severely hinder him being a starter for many schools, and with his height, he's not really destined for the NFL. I could easily see him just enjoying the ride, helping where he can with the team, and getting the degree. Johnson nor Byrant are leaving yet. year to graduate and then maybe (depending on his health) use the grad transfer rule to go play somewhere for 1 season. That I can see possible. Tigerman78, I think you may be on the money. at QB. I hope he finds a good opportunity somewhere and shows out. Wish him nothing but the best. Smart move on Zerrick's part. No need to waste another year of eligibility when you know you are not going to get substantial playing time especially with Trever Lawrence coming in and you can go somewhere who needs a good QB. Thanks for your contributions to Tiger football and the Best of luck to you in the future. this was obvious, that you caN'T keep all of them happy. There could be more . . . I'm a grown man simply stating wise and true things. Our country won't go on forever, if we stay soft as we are now. There won't be any America because some foreign soldiery will invade us and take our women and breed a hardier race. yea you really went out on a limb with that prediction. For everyone who may be upset at this move by Zerrick Cooper, please understand the reasons why. Zerrick Cooper took one look at Trevor Lawrence and read the writing on the wall. At least his college career isn't going to waste. This will be the norm for Clemson for years to come, just as long as Dabo and crew are here. We separate the wheat from the tares in respects to football performance. If you don't make the cut, then it's time to transfer. I think he will be awesome somewhere in a D2 school, but let's be honest, he was never going to see any real playing time. He will be on a mission to prove haters wrong in the NFL. He will be fine. NEVER LOOK BACK! ALWAYS LOOK TO THE FUTURE, BUT BE SURE TO HAVE SUN GLASSES ON BECAUSE THE FUTURE AT CLEMSON IS BRIGHT! Re: THIS IS GOOD NEWS! I’d don’t believe anyone is upset with ZC. Seems like th general consensus is wishing the young man success in his future. That’s all. And his goodbye statement was perfect. I think most wish him the best, and have not even seen the "He should stay and compete" crowd. Sometimes you just know when the dudes ahead of you are better. He, like Tucker likely would have started for us in past years. Now we have a stable of studs in the QB room and he is making the best choice for all involved. Good luck young man. Wish you the best Zerrick! Thank you for your hard work as a Tiger! WOW!! well written. Best wishes ZC!!!! TIGER! BEST OF LUCK YOUNG MAN! Thank you for your commitment and time at Clemson ZC. Best of everything to you in your future plans. Let me just echo all these sentiments. Best wishes ZC. Every player needs to take notes on how he's handling this situation. It's times like these when you find out about someone's true character. He didn't play the blame game or poor mouth the University. What a class way to handle this important decision. Wish him nothing but the best. Thanks ZC!! Mr. Cooper, thank you for your time as a Tiger. You were fun to watch. Best of luck in your journey. Look forward to hearing nothing but the best from you, wherever you go. Go Tigers! He can't off an immediate transfer. Only reason Chalmers ended up there was he was kicked off the team and played a year at a small school. I think part of their transfer agreements highlight they cannot play for a competing ACC team nor South Carolina. Best of luck #6. You are class act ! We wish you nothing but success in the future! Our thoughts and prayers are with you as you go into the next chapter of your life. We wish only the best for you. Zerrick, we wish you much success wherever you go. The Artist Formerly Known as "The FIGHTINGDABOS"
We wish you the best young man! It’s been our honor as alum and fans having you as a Tiger. Y'all can't hate me for saying it, but he is a victim of greed. Everybody great coming out of high school and not getting a chance to be the starter. Sure you have to compete for it, but it's a shame he didn't get a better shot at Clemson. Told my nephew 2 days ago he would be transferring. Someone else will join the mix sooner or later. Then God willing our starter will stay healthy and he will have a great backup whoever that may be. It bothers me because great quarterbacks as well as other position players will say hey we can't go there because we don't have a chance to compete. But the machine doesn't seem to be broken so I guess it's all good. I just hate for the individual to not be successful and have to interrupt his education. Best of luck to Zerrick Cooper and all his future endeavors. What? Victim of who's greed? He had every opportunity to win the starting job this year and he had the perfect audition in the Cuse game when Bryant was injured. He just didn't get it done. Re: What? Victim of who's greed? Truth spoken. Everyone does not play at the same level contrary to popular societal thinking. There’s always someone better. The kid is Crazy... I would not go a smaller school with three of eligibility remaining. Go to another D1 school and sit a year. Dabo cant stop him from going to a school that Clemson does not play. He was the #7 rated QB in his class. many SEC schools would take him. FLORIDA being number one! Classy, classy guy. Wish him the best, and yeah, we'll always consider him a Tiger. ...wish him the best...and he'll always be a Tiger. I hope he finds a new home and the right fit and has tons of success. Good luck to Zerrick. I hope he lands somewhere he gets to play and realize his dreams. Best of luck to Zerrick. I hope he finds a school that will give him a chance to start. Best of luck to ZC, Once a Tiger always a Tiger!! Best wishes and good luck to a class act! Thank you so much for being a Clemson Tiger and helping the team achieve sooo much! You'll always be Clemson family! Mighty good QB looking for a starting home. He'll find it no doubt. Best wishes ZC. Best of luck with your new team!! ZC - u are All Class!! U will find great success in life with your outlook! All the best to u in football and beyond, young sir!! U will always be in the Clemson family!! like when KJ Mcdaniels left our basketball team early. I just hate to see such a good athlete transfer but I can not argue that for playing time and utilizing his talents it is not the best decision for him. Tiger forever, Derrick. Best of luck from all us Clemson alumni and fans. I wish you ZC the very best at where ever you decide to go and play for. 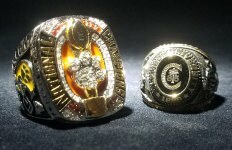 I bet you will be the only player on your team with a National Championship win and the ring to show for it. Good luck, and take very good care of your health, bc you will be back one day to celebrate again the NCG that you were a part of!!! and I wish you success..you will always be Tiger. We all believe in you and know you have the skills. Thank you for your service to the team!!! We knew that somebody was going to transfer and ZC makes the most sense. It wouldn't shock me to see 1 more go if TL comes in and dominates. What the heck is wrong with him!!!!!!?? Does this give us more lattitude to recruit with a freed up scholly? We r qb heavy anyway. Nothing but good wishes for him. but it didn't happen regretfully but know you did your best & played a pretty awesome solid game in relief with no INT! Much success & good health Tiger Coop! You’ll take what you’ve learned and light it up. Great things ahead for you! Hard as a Tiger and representing us well during your time here. We can tell why Dabo’s staff recruited you. Seems like you’re making a good decision and doing it the right way. Make us proud and good luck.